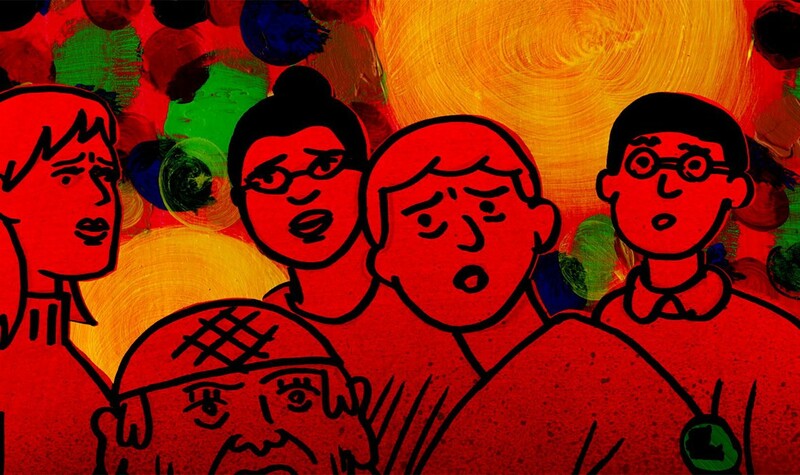 From acclaimed cartoonist Dash Shaw (NEW SCHOOL) comes an audacious debut that is equal parts disaster cinema, high school comedy and blockbuster satire, told through a dream-like mixed media animation style. Dash (Jason Schwartzman) and his best friend Assaf (Reggie Watts) are preparing for another year muckraking on behalf of their school newspaper edited by their friend Verti (Maya Rudolph). Soon Dash learns of the administration’s cover-up that puts all the students in danger. When disaster erupts and the friends race to escape through the roof of the school, they are joined by a popular know-it- all (Lena Dunham) and a lunch lady (Susan Sarandon) who is much more than meets the eye. Born in Los Angeles, Dash Shaw studied at the School of Visual Arts in New York and works as a cartoonist and animator. His graphic short stories have featured in many anthologies, newspapers and magazines. His graphic novel New School was named one of the best books of the year by National Public Radio (NPR). He has worked as an animator on Wheel of Fortune, Blind Date 4, The Unclothed Man in the 35th Century AD web-series and the Sigur Ros video Seraph (co-written with John Cameron Mitchell) which screened at the Sundance Film Festival. "The most original animated film of the year... John Hughes for the Adult Swim generation." "Wildly bizarre and imaginatively alluring." This animated, poetry-driven short follows Bandages, an old man haunted by his dark past, as he embarks on his journey towards forgiveness.